This trip will be a three-week exploration to the West African countries of Ivory Coast (Côte d’Ivoire) and Ghana. We’ll start the trip in Abidjan, Côte d'Ivoire (Ivory Coast), a true tropical paradise with its starfish-studded sands and palm tree forests. A country that is striving towards economic progress and a nation that is fast modernizing its lifestyle and culture. We will discover native tropical wildlife, at Banco National Park as they live among the island trees. After spending the day in local markets and shops, we will visit the Fakhoury contemporary art museum and marvel at the architecture of St. Paul’s Cathedral. HOPE Ivory Coast, an international serving organization will take us to a local orphanage to serve the poor for a day. We’ll then then travel to Accra, Ghana. Ghana is hailed as West African’s golden child and is one of Africa's great success stories and is reaping the benefits of a stable democracy. We’ll enjoy the welcoming beaches, rich culture, vibrant cities, and diverse wildlife. We will learn the history of the slave trade as we visit actual Castles where boats loaded slaves to sail to the Americas. We will enjoy beautiful hiking up mountains, and see amazing waterfalls as we travel to the Cape Coast. We will end our trip with a visit to Kakum National park rainforest, home to endangered mammals such as elephants, antelopes and monkeys. In summary we will have an amazing journey that will investigate the wildlife, coastal ports, forts, castles, and the slave trade, poignant reminders of a page of history that defined our modern world. TRAVELERS SHOULD BE PREPARED FOR SOME PRIMITIVE CONDITIONS. Trek through the jungle at the Banco National Park in the midst of huge trees and roaming native animals such as the African civet, genet, bushbuck, duiker, and monkeys. 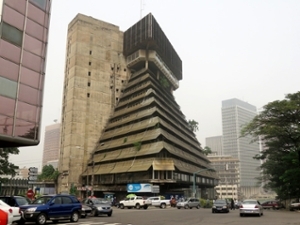 Spend the day visiting local markets, shops and sites including Galerie Cécile Fakhoury, a contemporary art museum, Musée des Civilisations de Côte d'Ivoire, a craft museum with over 10,000 carvings, ceramics, statues & artworks, and the landmark St. Paul's Cathedral which is known for its unique architecture. Visit an orphanage, school, and a local neighborhood with HOPE Ivory Coast. Filled to the brim with French colonial charm, spend the day in the sun canoeing with a guide and playing in the ocean. End the day at the central market shopping and enjoying the local fare. 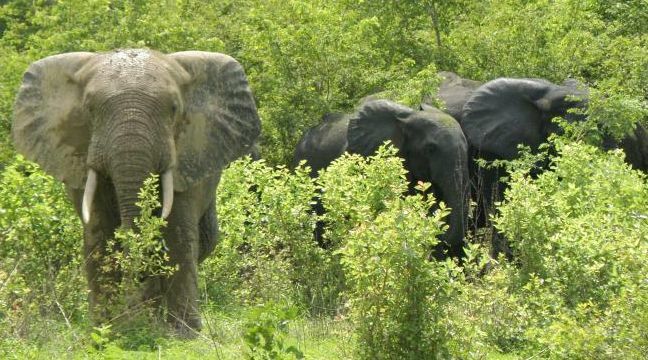 Start the day off with a visit to the Abokouamekro Game Reserve which provides refuge to wildlife indigenous to Western Africa. In the afternoon we’ll head to the capital city of Côte d'Ivoire and visit the enormous Basilica of Our Lady of Peace with its stained-glass windows and towering dome, the Grande Mosquee, and the Presidential Palace. Discover great food, shopping, and architecture in this the upscale residential section of Abidjan. Visit with fellow students and professors at the Université Félix Houphouët-Boigny. Finish the afternoon and evening off by relaxing and eating at the beautiful Cacody beach. Spend the day taking in the history of Accra by visiting Black Star Square, also known as Independence Square, the Kwame Nkrumah Memorial Park, the National Museum and Jamestown Lighthouse. Take a Tro Tro to the city center for great local eats! We’ll enjoy perfect sand, sea, and an amazing sunset at Accra’s famous beach. Snorkel with sea turtles in this crystal clear water. Stoll the boardwalk, check out local shops and feast on street food. Explore Ghana’s poignant legacy of human trafficking on a guided walking tour of Accra’s slavery museums and slave fort. See chilling artifacts of the country’s cruel history as you visit the Ussher Fort museum, then descend into the James Fort dungeons to see cramped cells where West Africans were imprisoned for months at a time. Learn how to cook West African cuisine on this private guided tour -- learn about the ingredients, where to buy them and finally, prepare a meal to share together. Spend the rest of the day shopping the Makola Market, the Arts & Crafts Market, and the Slaga Market. Explore the Volta Region which is Ghana’s ecotourism hub by hiking up the highest mountain in Ghana called Afadjato. Also, visit the Wli waterfalls which are the highest of its kind in West Africa and end at the Tafi-Atome Monkey Sanctuary. Enjoy the most popular beach in Ghana,with a spacious shoreline lined with coconut trees. It offers a great urban beach experience, with a clean beachfront, good food and music. Ghana's Cultural heartbeat is Kumasi, the Ashanti capital. Endowed with great cultural heritage. Experience the best of culture and history of Ghana by visiting museums, the countries largest market, the Okomfo Anokye Sword site, palaces and more. Forever haunted by the ghosts of the past, Cape Coast is one of Africa's most culturally significant spots. This former European colonial capital was once the largest slave-trading centre in West Africa. Today, Cape Coast is an easygoing fishing town with an arty vibe, fanned by salty sea breezes and kissed by peeling waves. Accommodations at the top-rated Oasis Beach Resort for relaxing by the sea when not touring. Tour the Manso Slave River site, Cape Coast Castle, Fort Victoria, and Fort Nassau, all sites involved the Western African slave trade. Finish the day in the local markets at Oida Cultural Center. Spend the day at Kakum National Park on the coast of southern Ghana. A rainforest, home to endangered mammals such as forest elephants, bongo antelopes and primates like the Diana monkey. The park is rich in butterflies and birds, including African grey parrots and hornbills. The Canopy Walkway, suspended 30 meters above the ground, provides treetop views of the forest. Visit Elimina Castle, a historic slave-trade site on the way back to Cape Coast. Day 21: Return to Accra Airport for trip back to Portland.